For the past couple of years some of our customers have seen the above display of our products while they were being tested in selected Walmart stores. That test is over, but you can currently get these Mabu Baby Eco-Diaper products on-line in Canada at Walmart.ca, and we are still in some of the Walmart stores. 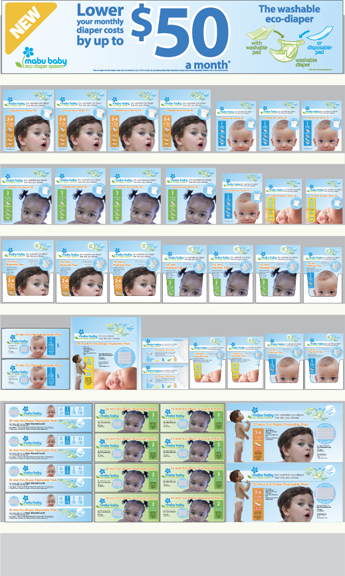 We are working hard at making Mabu Baby Eco-Diapers available to you in many more locations and even countries. Watch this space for new locations. 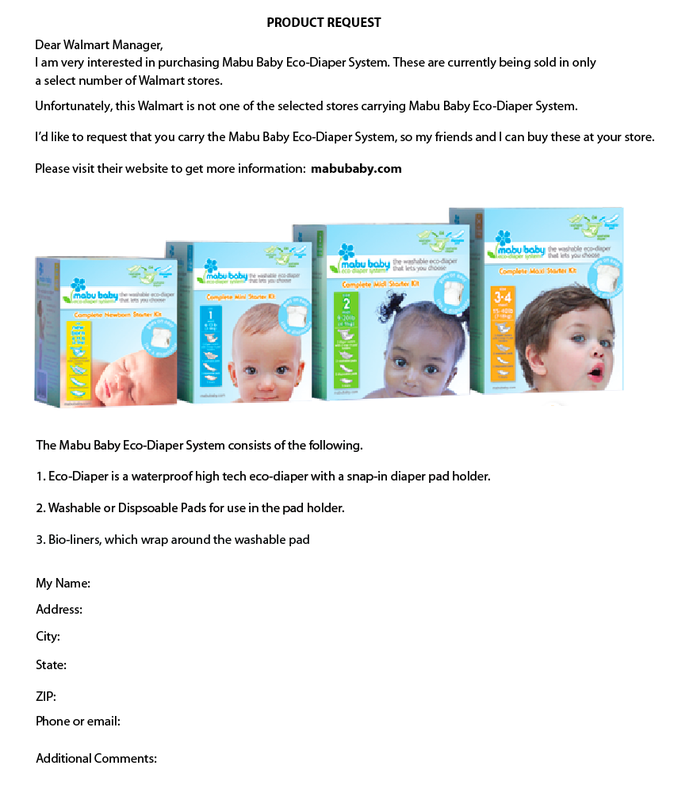 Meanwhile, If your local Walmart does not carry Mabu Baby Eco-Diapers, please print out the following Walmart Request Form and present it to any Walmart Associate.